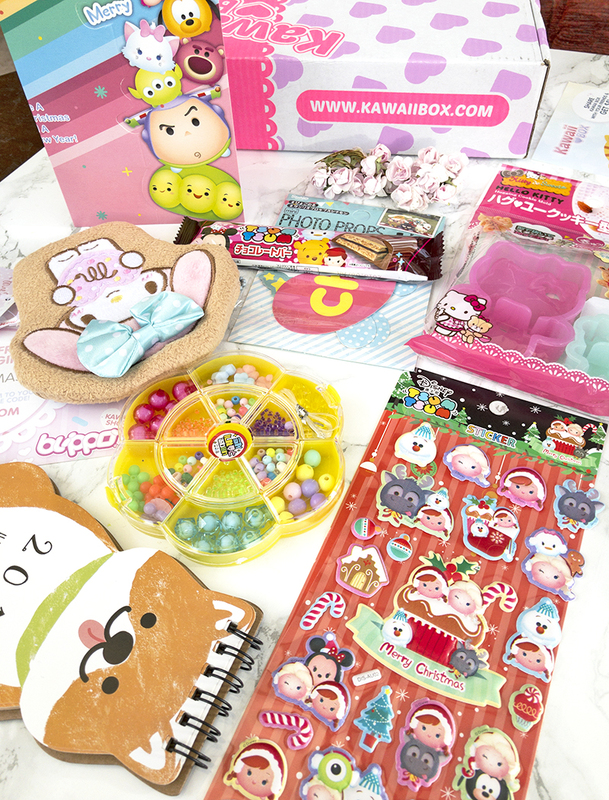 The Kawaii Box is a monthly subscription box that includes eight to ten cute items from Japan. The monthly cost is $19.90 (so about £15), but it works out as less per month if you opt-in for a long-term subscription. I would say that this is pretty good value for money, especially since the Kawaii Box offer free shipping, even to the United Kingdom. The box arrived within two weeks of dispatching, and luckily there was no customs charge which can sometimes happen with overseas deliveries (I think it's unlikely with subscription boxes, but just something to be aware of). The December edition is of course Christmas-themed, which made me all the more excited for this unboxing! Sanrio Cookies Plush Purse. This is actually one of my favourite things in this box. It is a small, cute and fluffy purse that's very soft and pleasant to touch - it feels almost like a cuddly plush toy. I think that it might be a little small for a purse (unless you want to use it as a coin pouch), but I'll be using mine either to store some jewellery or as a Tamagotchi pouch. I absolutely love it! DIY New Year's Jewellery Kit. This is a little set with lots of colourful beads so that you can create your own bracelets, necklaces, etc. To be honest, I don't think I am going to get a lot of use out of it - it's fun to play with, but not the kind of jewellery I could see myself wearing on the daily. Perhaps if you have a younger sister or a friend, this could make for a nice little gift. Hello Kitty Xmas Cookie Mold. This includes two Hello Kitty cookie cutters, which are cute and practical, especially if you are into baking. Personally, I am completely useless when it comes to baking of any kind, but I am very tempted to try and do something with these, since they are so adorable! Disney Tsum Tsum Chocolate. You can never go wrong with a bit of chocolate, but honestly I felt so bad eating this one, because the packaging is so cute! It was absolutely delicious and gone in seconds! Shiba Inu 2018 Desk Calendar. I absolutely adore shiba inu puppies, so I was very happy and excited to see this little calendar. I think that this would make for a lovely gift for someone, but personally I am keeping this one for myself to put on the office desk. Disney Tsum Tsum Xmas Stickers. I love collecting cute stickers for my journals, so I was definitely very happy to add a new set to my collection! These adorable stickers are all Christmas-themed with various Disney Tsum Tsum characters. 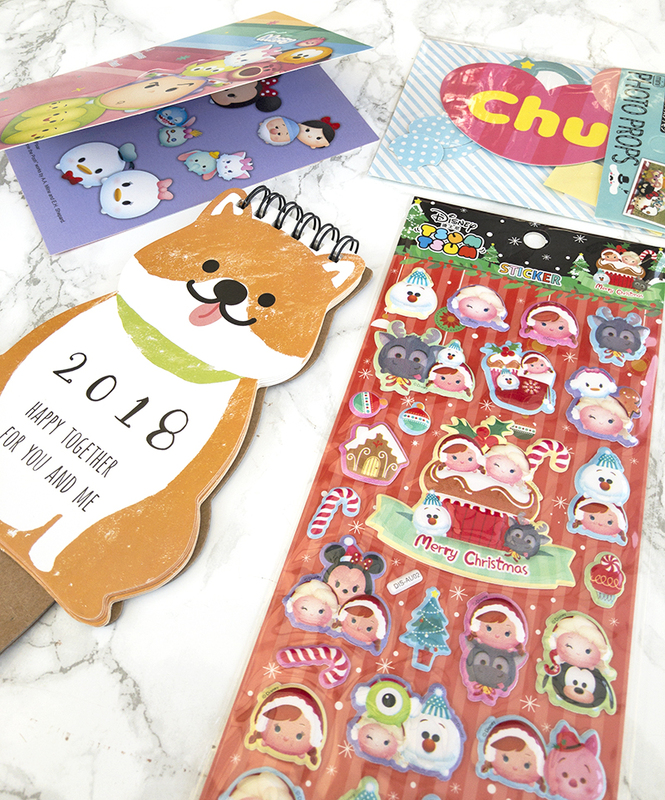 They're perfect for planners, but even if you don't keep a journal, you could use these to decorate your Christmas cards and make them extra cute. Disney Tsum Tsum Xmas Card. I think that it's very fitting to include a cute Christmas card with this December box edition! This card is quite small, but adorable, featuring various Disney Tsum Tsum characters. Sanrio Characters Photo Props. These props are basically like real-life Snapchat filters. The set features different Sanrio characters, which is pretty cute but I can't really see myself getting a lot of use out of these. I might try and find some other practical use for them. 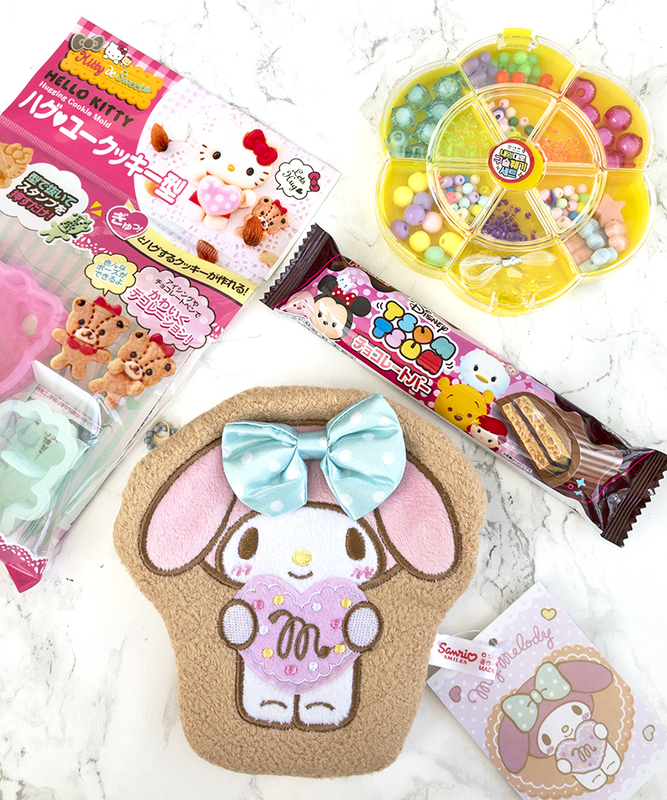 Overall, I am very happy with my Kawaii Box, and I'd wholeheartedly recommend it to anyone who enjoys things that are cute and girly - it definitely lives up to its 'kawaii' name! There is a good mix of items for all kinds of different tastes and interests, so I think that there will be something for everyone in this box. My two favourite things include the shiba inu desk calendar, and the little Sanrio pouch. I would say that my least favourite thing was probably the photo props set, mainly because I just don't see myself having much use for it. For me, the main appeal of this box (aside from the cuteness!) is that it's very unique - I cannot think of a similar subscription service available in the UK. It can be quite difficult to get your hands on some of this Japanese merchandise here in the UK, so I think that it's lovely that such a box exists. 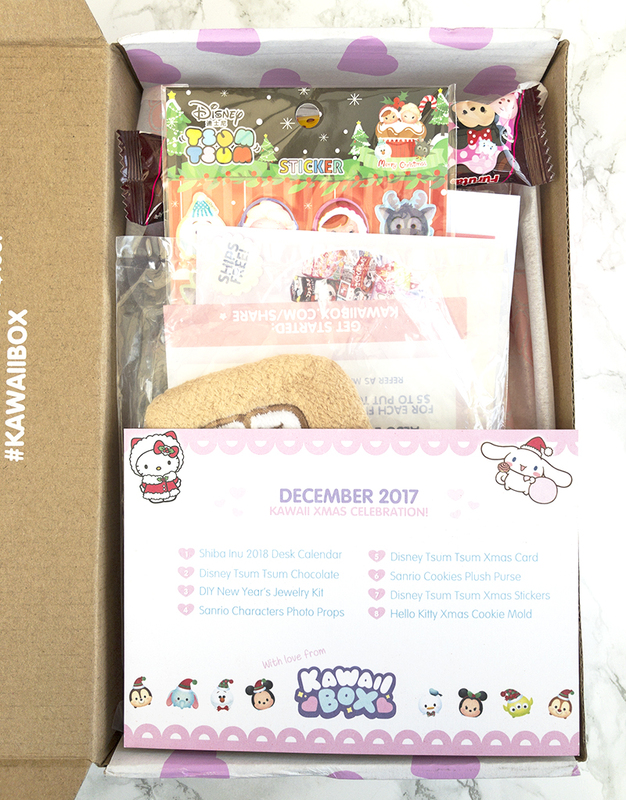 The value is great for what you get, especially considering the free shipping; so I'm happy to keep subscribed to see what else the Kawaii Box has in store! What is your opinion on subscription boxes? Have you subscribed to any?